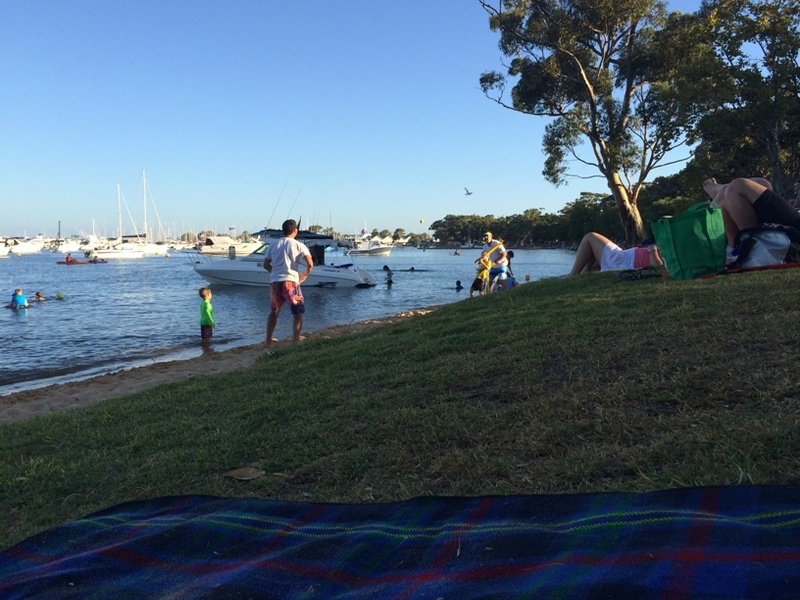 Matilda Bay is our top pick for a family friendly place to spend the day enjoying a BBQ, some beach cricket a swim and the fireworks. 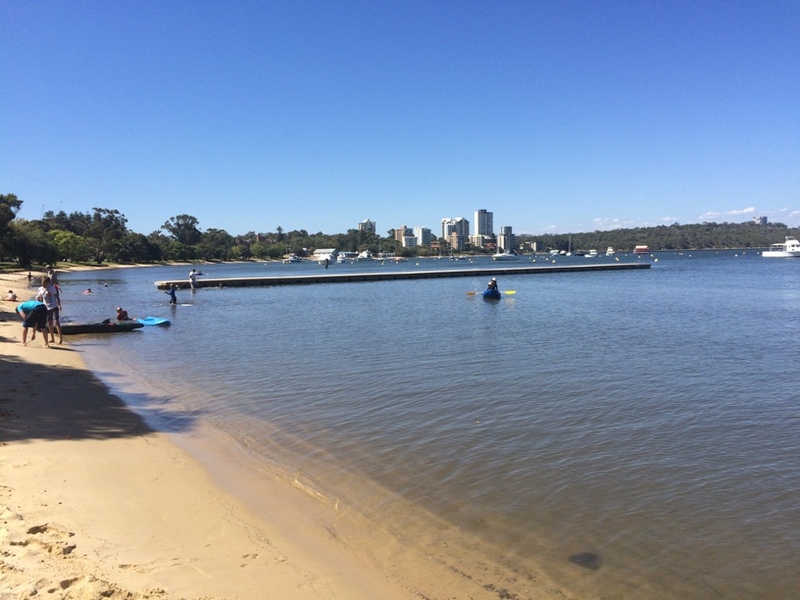 Matilda Bay has it all – bbq facilities, shaded grassed area right on the shore perfect for picnicing or playing cricket, great river swimming spot and great vantage point for the Skyworks pre entertainment and fireworks. We spent the afternoon here last year and were surprised how relaxing it was. 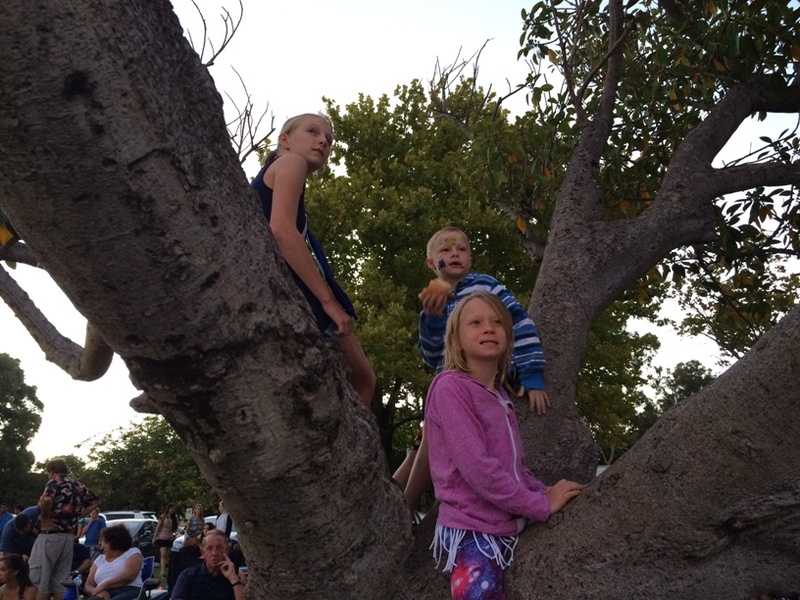 The kids had a fantastic time swimming, playing cricket and climbing trees before the fireworks started. There is plenty of parking with free visitor parking off Hackett Drive at UWA (while there was plenty of parking when we arrived at 2pm – even though it wasn’t quite as busy here as the Perth Foreshore we still recommend you arrive by mid afternoon to set up). The carpark is just a short stroll over the road to the picnic area so it’s easy to make a few trips back and forth to the car for all your supplies. 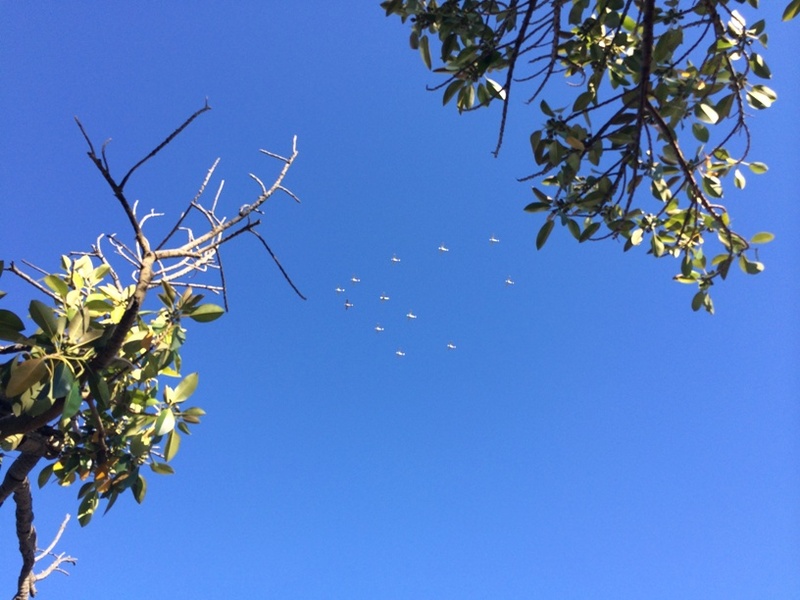 From 3pm you can enjoy the pre-fireworks entertainment with the planes flying over this area to make their way to the Perth Foreshore. 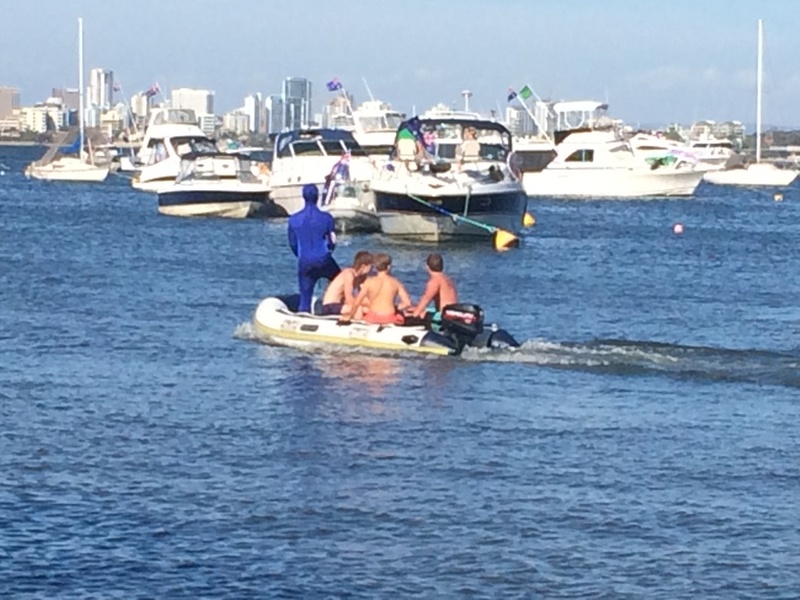 You may also get to see some colourful characters out on their boats as they drive past. We sat down away from the Bayside Kitchen towards Mounts Bay Road, it was a little quieter here and there were some great climbing trees that the kids loved sitting in to eat their dinner and watch the fireworks. 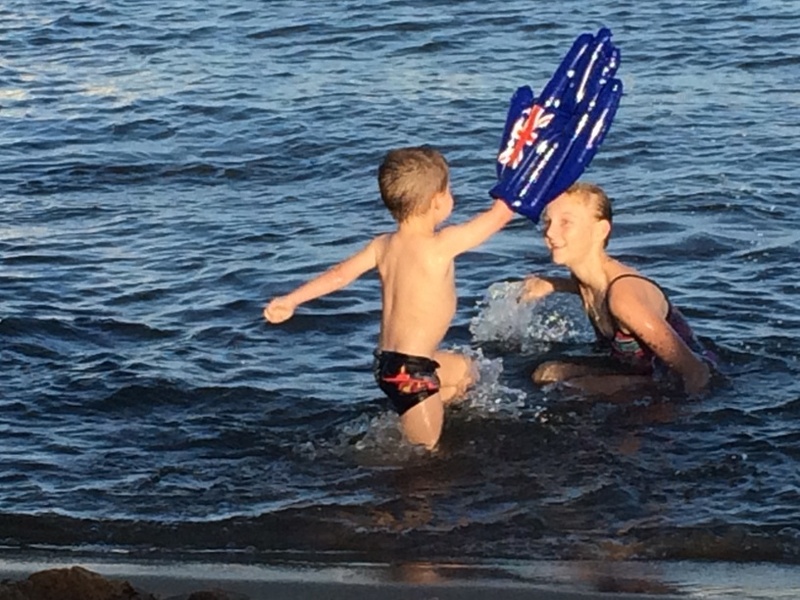 Our son had a fantastic time playing cricket down on the beach with another family for hours – in between having a swim in the river (if the kids need a fresh water shower there is a shower just up from the Bayside Kitchen and pontoons just before the Matilda Bay Restaurant). Make sure you look out for dolphins while you are there – we were so lucky to have a few dolphins swim right past the shoreline just a couple of minutes before the fireworks started. 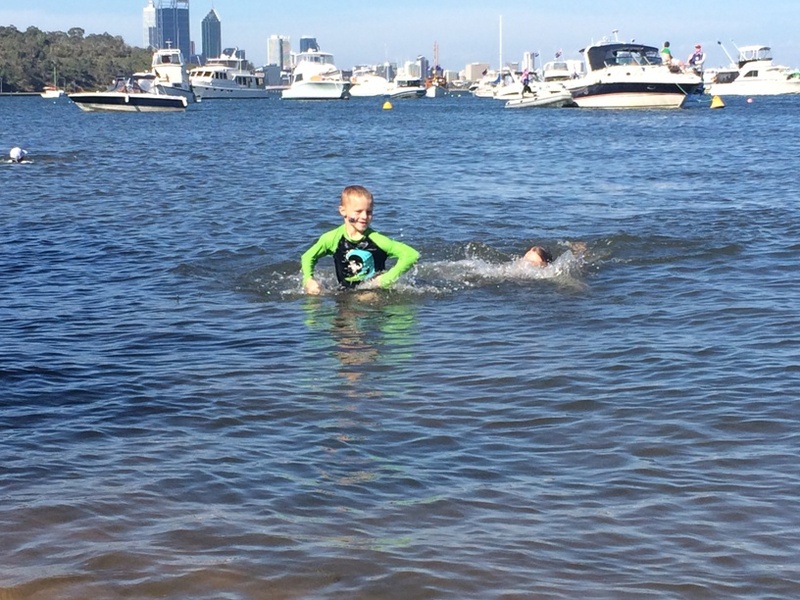 We’ve done South Perth and the Perth Foreshore before and we enjoyed Matlida Bay the most as it’s less busy, there is good access to parking and lots of room for the kids to run around. 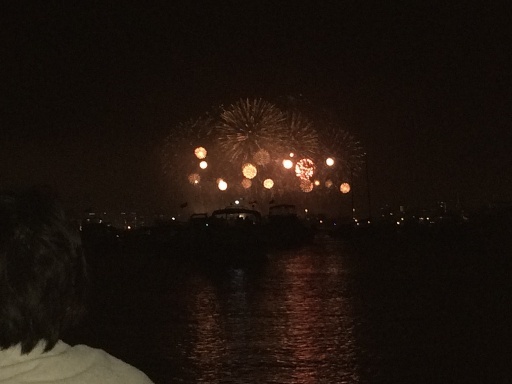 Complete with a good view of the fireworks and a fantastic family friendly atmosphere. 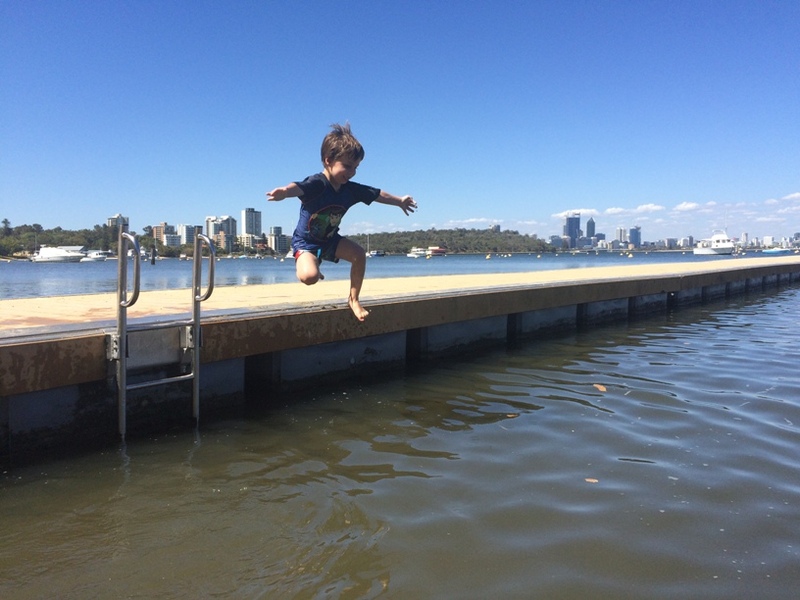 If you have young children who don't like the noise from the fireworks Matilda Bay is a great option too as it's a little less noisy. Tip! When you leave turn left onto Mounts Bay Road, and head down Stirling Hwy towards the coast. Whether you are heading north or south of the river you can use it to avoid the traffic heading home from Kings Park and the City.